Banker and farmer Mark Suiso tends over 40 mango trees comprising of at least a dozen mango varieties on his family’s farm in Makaha Valley. Mark and his wife Candy spearhead the annual Mango Festival every year. They sell their prized mangoes to various restaurants. 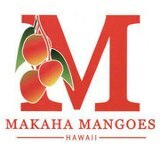 Their mangoes can also be found at Whole Foods Kahala. You can follow them on Facebook for event updates and mango tips.